Multiple sclerosis (MS) is demyelization disease of central nervous system of unidentified causes. 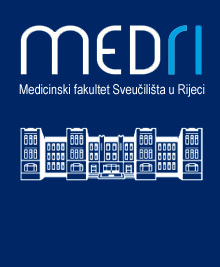 Analytic epidemiological research of 19 patients, clinically approved cases of MS and 25 controls, autochthonic inhabitants of town of ^abar, Croatia, the high-risk zone for the disease, was made. The research plan included case-control investigation – the »door to door« questionnaire – about nutrition habits. An odds ratio (OR) was calculated for all the factors which were more frequently found in the patients than in the controls, and vice versa. The variables that were connected with significant risk for MS in the town of ^abar included: alcohol consumption (p=0.05), animal fats/dried meat products consumption (p=0.007), nitrate salting (p=0.03), strong spices (p=0.007), mixed bread (p=0.002), oat and oat products consumption (p=0.0075). No connection was found with regular consumption of vegetables and fruit (p=0.009), blue fresh fish (p=0.028), other fresh fish (p=0.03), freshwater fish (p=0.002), canned fish (p=0.004), dormouse meat (p=0.007), air-dried meat products (p=0.004) and using the water from water supply (p=0.011). In the town of ^abar nutritional customs, primarily food rich in animal fats, alcohol-abuse, and oat consumption could have an influence on MS pathogenesis in genetically inclined individuals.